We are proud to be a supplier of the powerful Saville Consulting suite of aptitude and behavioural assessment tools. Saville Consulting's quantum leap in psychometric science has enhanced the predictive power of personality assessments so substantially that they now rival their aptitude assessments. Heartstone is accredited for the full Saville Consulting Psychometric Suite. Saville Consulting's assessments have been developed based on extensive research into what drives successful workplace performance. It is this extensive international research that both convinced us and guarantees to add rigour and value to you. Saville Consulting Wave® Styles assessments are built around one integrated model based on a rich understanding of personal motives, talents, competency potential and preferred culture. The concepts of motive and talent are central to the structure and have real implications for selection, individual development, career planning and performance. 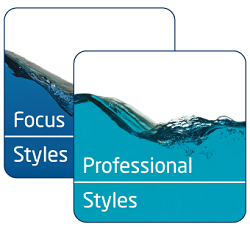 Saville Consulting Wave® Professional Styles measures motives, talents, preferred culture and competency potential in one dynamic online questionnaire. High validity improves prediction of potential and performance. Wave was developed to maximize validity and give practitioners relevant and powerful data about people. At the heart of Saville Consulting's assessments is the Wave Performance Culture Framework. This is our extensively researched model of the key characteristics that underpin success at work. It comprises the areas of Behavior, Ability and Global. The Behaviour element refers to people's behavioural styles and competencies. Ability assesses a person's abilities to perform intellectual or cognitive tasks such as verbal comprehension, numerical reasoning or abilities in working with designs or systems. Global in the model refers to a person's performance in work in areas such as 'Applying Expertise, Accomplishing Objectives and Demonstrating Potential. Saville Consulting's Aptitude Assessments are a comprehensive portfolio of tests used for a range of roles. They clearly measure a variety of abilities depending upon the role requirements. The portfolio includes measures of verbal, numerical, diagrammatic, abstract, error checking, spatial and mechanical aptitudes that respectively predict the ability to work with words, numbers, systems, logic, details, designs and equipment. Our range includes combination tests comprising shorter sub-tests to rapidly assess several ability areas as well as single tests to assess in more depth a specific ability area of relevance to the role.